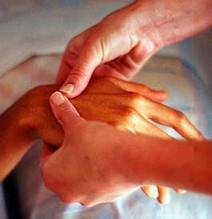 Composed of detailed, focused massage techniques, we use your time wisely to bring about positive change! Harmonize your full body relaxation massage with specific work on tight areas, bringing about rejuvenation and balance ~or~ focus entirely on your troubled spots for lasting relief. A symphony of bliss; revive your body and mind by thoroughly working tight painful muscles while integrating the whole body ~or~ seamlessly blend your relaxation massage with a focused detailed approach. Lavishly immerse yourself in relaxation; our time is dedicated to restoration as we thoroughly move from one area of the body to the next, resulting in pain relief and renewal, be the embodiment of bliss. We bring our love of massage and wellness to you, catering our services to transport our clients to bliss and offering a unique and beneficial addition to your next event! Learn more! Amy blends the use of warmed stones with other massage techniques for a fuller effect; warmed stones are used as massage tools to access deeper tissue without added pressure or temporarily left in place while we work other areas. Warmed stones work exceptionally well over larger ‘guarded’ musculature, soothing and overriding resistance as they melt away tension. This is a very nurturing and comforting treatment, especially on chilly days. We begin with a pampering hand massage, then immerse each hand in a warm paraffin bath and envelope them in cozy mittens to hold in moisture. 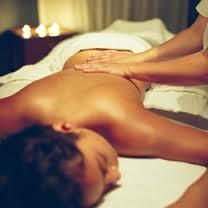 The warmth from this nurturing enhancement will penetrate deeply, soothing joints and making dry hands supple again. This sole-ful treatment begins with an exfoliating foot scrub, smoothing and softening rough spots, followed by a steamed towel wrap, and finishing with a pampering and purposeful foot massage; creating an environment that welcomes moisture and vitality. Thank you for continuing to send your friends and family to me! Because of the sensitivity of having a home-based business, those who schedule in home appointments must be a conscientious referral.